Students are voting in Student Government elections this week despite having only one competitive race. 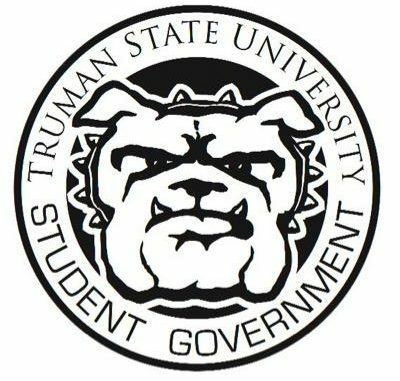 This semester’s elections determines the Truman State University Student Government president and vice president for next year, as well as 12 voting senators and three senior senators. Multiple Funds Allotment Council positions are also on the ballot — though FAC is not part of Student Government, its positions appear on the same ballot because it is a fee-funded organization similar to Student Government. Most of the candidates on the ballot are uncontested. The one presidential ticket on the ballot features Deanna Schmidt, the 2018-19 Student Government vice president, running for president with running mate Katie Alexander, the 2018-19 Student Government academic affairs committee chair. In addition, seven candidates are running for the 12 voting senator positions, three for three senior senator positions and one for FAC treasurer. No one is running for student representative to the FAC. The FAC chair race is the only contest on the ballot, with two people running for the single chair position. There are also two proposed changes to the Collegiate Readership Program and a series of Student Government constitutional changes on the ballot. Of all these candidates and issues, only the presidential ticket features a campaign. Schmidt and Alexander’s campaign has four pillars, according to their campaign website: communication, health and wellness, academic excellence, and community building. Alexander said she and Schmidt want to give students greater insight into Student Government and Truman administration by producing a weekly 5-10 minute-long podcast on their projects and issues on campus. She said Student Government is particularly well equipped to provide this information to everyone on campus. “When there are concerns among the student body on campus, often the Student Government knows what’s going on in a way that every other student doesn’t, just because they don’t have access to that information,” Alexander said. Schmidt added that she and Alexander aim to finish developing a video series introducing Truman administrators and their roles on campus to students to make them more approachable. She also said they want to create an online interactive flowchart for students to reference when they are not sure where to go on campus for any problems or questions they have. To better mental health on campus, Alexander said she and Schmidt want to establish a University Counseling Services counselor-student pairing procedure so students can be matched with a counselor with the most appropriate skill set. Schmidt said when she called UCS to make an appointment for the first time, she was assigned a counselor after briefly explaining why she wanted one. She said she later filled out a questionnaire that her counselor used to shape each counseling session from then on. “When hearing other students’ concerns about not connecting with their counselors, I do think back to this process and wonder if there could have been a better way for me to express exactly what I was looking for in a counseling appointment before being assigned a counselor, so that they could have suggested a few for me to choose from,” Schmidt wrote in an email to The Index. Schmidt and Alexander made a point of being “committed to community,” according to their campaign kickoff video. Schmidt said she and Alexander want to highlight all Truman students by bringing them together. Some of their proposals for unifying campus included increasing Homecoming engagement across all organizations, hosting Truman’s second annual TEDx Conference and making an LGBTQ resource center a reality on campus. Alexander added that she and Schmidt want to increase the accessibility of campus event information by redesigning Truman Today with more pictures, descriptive titles and taglines, and graphics, among other possibilities. She said this is another way they intend to build a sense of community at Truman. “People generally stick to what they’re passionate about, and there’s nothing wrong with that, but I think it’s also really exciting to be able to see the amazing work that students are doing in other areas of campus,” Alexander said. Schmidt and Alexander were both Student Government academic affairs committee chairs at some point in their Student Government careers, but they said they do not think this is a disadvantage for their administration. Schmidt said she got the opportunity to work more with the other Student Government committees as vice president while Alexander served as the academic affairs committee chair this year. Alexander said having two former academic affairs committee chairs at the head of Student Government is a benefit, if anything, because of the relationships and experience needed to properly represent student interests when shaping The Dialogues. Schmidt and Alexander said they want Truman to be a safe community. They said they were excited to hear the Department of Public Safety was developing a campus safety app to complement or replace the safety poles on campus, and they plan on working with DPS to make the app a reality while also keeping a few poles operational for the image of safety and for students without a phone. Alexander also said she opposes open and concealed carry on Truman’s campus and hopes students can feel safe on campus without weapons. Despite her personal opinion, however, Alexander said she and Schmidt want to hold a student forum on the issue — similar to what Student Government did in 2016 — if the Missouri state legislature passes Missouri House Bill 575, which would allow concealed carry on Missouri college campuses. An issue from past years that did not rear its head in Schmidt and Alexander’s campaign is parking. Past Student Government presidential candidates made parking central to their campaigns, but Schmidt said it did not seem to be an issue for her and Alexander’s administration. She cited Student Government surveys about the Fair Apartments green space in which she said most respondents wanted to keep it as a green space rather than turn it into a parking lot. “I’m not willing to sacrifice green space as of right now for parking that doesn’t seem to be an issue that’s affecting students as much,” Schmidt said. To see all of their goals through, Schmidt said she and Alexander aim to hold their committee chairs accountable for making sure their committees always have projects to work on and a sense that they are making a difference. She said past administrations did not necessarily excel at this, and if not for recent presidents setting new precedents for committee chair accountability, she said she would have quit Student Government her freshman year. Schmidt said it was important to her to continue holding committees and their chairs accountable under her and Alexander’s administration. Election results will be announced at noon Thursday in front of the Student Union Building. If there is inclement weather, the announcement will be moved to the SUB Hub. The Index will report the results shortly after they’re announced at tmn.truman.edu.